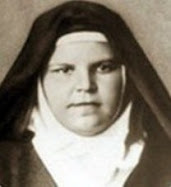 As requested by Jesus, Blessed Maria Droste sought and eventually obtained a formal Papal consecration of the entire universe to the Sacred Heart of Jesus on June 11, 1899. Her mission fulfilled, she died at 3pm on Thursday, just three days before Pope Leo would make the solemn consecration, after the Pope himself was miraculously healed through her intercession. 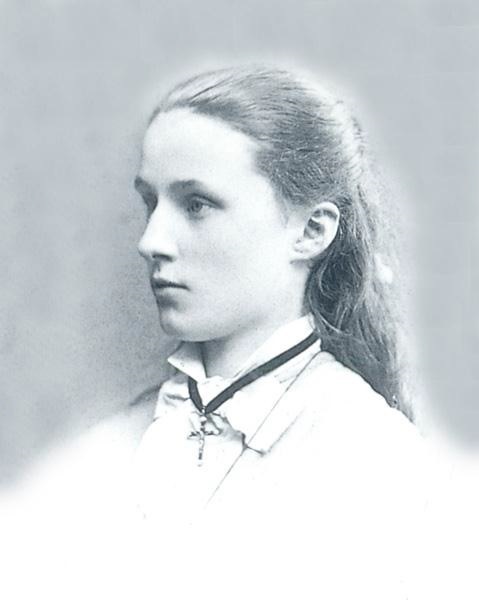 Maria Droste zu Vischering was born on September 8, 1863 in Munster, Germany, one of seven children of Count and Countess Clement Droste zu Vischering. 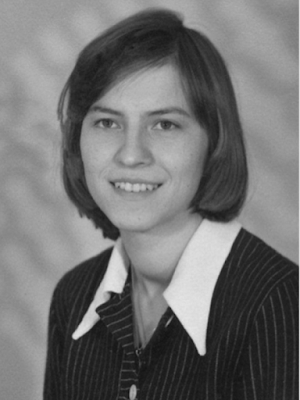 As a child, Maria was like a tomboy; she was full of energy, played hard, and had a very strong will. 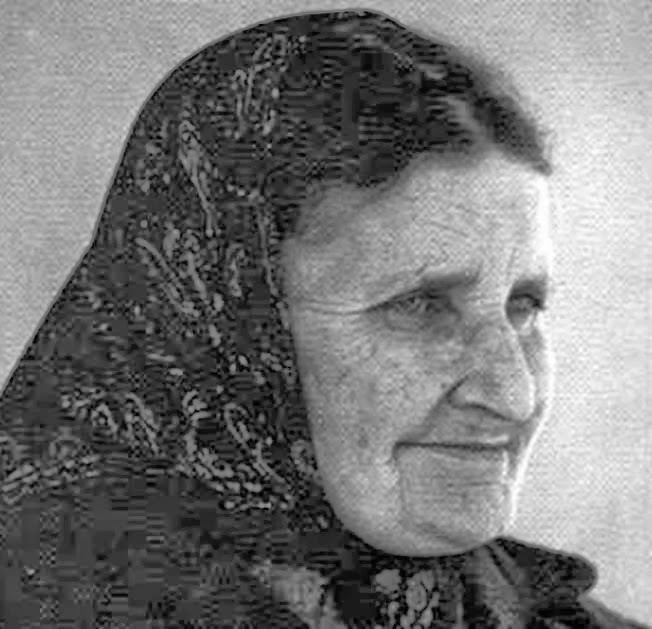 Her mother stated that of her seven children, Maria was the most difficult to care for, stating: "She never cared for her dress and would run into the mud and jump into wet grass and bushes until she was so dirty so that she would have to change out her entire outfit." Even in her youth, her siblings complained that when Maria got angry at times she would bite, scratch and spit – so they teasingly nicknamed her the ‘little wildcat’. In fact, especially during the early part if her relatively short life, she struggled in conquering her strong temperament which, if challenged or provoked, could erupt like a volcano, yet afterwards she would be deeply repentant for her sudden outbursts. She often fought with her mother, to the extent her mother seriously wondered if Maria would not be able to learn to moderate her temper, would she be able to become a nun like she had wanted since her early youth? Yet she had a most compassionate heart and could not bear to see others suffering, and from her childhood she always felt drawn to the poor and sick of the village, and would often visit them when her parents permitted it. 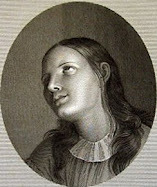 Concerning her strong nature, in one of her letters she wrote: "...And as for my impatience and irritable temperament, thanks be to God I have not yet had difficulty with that....But I ask you to pray for me so that these faults will disappear, and that I can make my own the sweetness and humility of the Heart of Jesus." The other test for Maria during these years was her frail health; she hated having to be always careful and to be mindful of herself, yet she understood that this time was a time of preparation and purification. 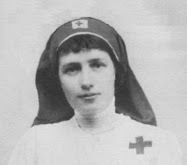 At age 15 she went to a convent school run by the Sisters of the Sacred Heart at Riedenburg. There, she developed not only an even greater love for the Sacred Heart, she also developed a pneumonia which went undiagnosed or treated for awhile, causing her to have to return home. In a letter she explained how she felt called to spend this time reunited with her family to make up for her earlier selfishness and self-centeredness (from a letter to the family). Maria was shocked and even ashamed that Jesus could possibly say such a thing to her, because she knew very well her faults and weaknesses. She felt completely unworthy of such a great honor. She asked her spiritual director if maybe Jesus was making a mistake by choosing her, but he calmed her saying, “How can you say this when HE himself is choosing you?” She wanted no one to know of her ‘great secret’ as she called her inner experience with the Lord. In 1885, Maria began to live like a nun in her own house – she cleared all unnecessary furniture out of her room and followed a timetable for herself. Her parents insisted that she would be at least present at the family meals as they were suspicious of anything extraordinary. The records show however that Maria was still not too strict with herself – some relatives went on record saying that she would leave her ‘cloister’ to hear the news or gossip about the wider family and neighbors. During this time she kept and treasured a little statue of the Sacred Heart, a gift of her parents. It was a miniature of the statue in the chapel of the castle which she later took with her when she entered. (This little figure still exists in one of the convents in Germany). After 7 long years of waiting, at age 26 Maria finally enters the convent of the Good Shepherd Sisters in Münster on 21st November 1888. On 10th January 1889 she formally receives the habit (incidentally this occured on the exact same day and same year that St Therese of Lisieux also received the habit). Maria was filled with joy when she heard the name in religion that was chosen for her--Maria of the Divine Heart – a very unusual name in Germany. Her main duties were to attend to visitors at the convent (doorkeeper) and to help care for and teach the young girls that were entrusted to the Sisters. 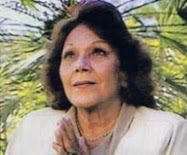 She had a winning way with the girls she taught and cared for and she attributed all this to the Sacred Heart of Jesus. She said: "When you are appealing to His Divine Heart for the conversion of a soul, He will never refuse you, although sometimes He demands much prayer, sacrifice and suffering." 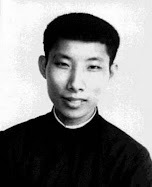 "By His words of instruction, consolation and love, which I received while at home and during my novitiate, I can truly say that our Lord Himself directed me, even though as need and opportunity arose I always submitted to my director." "....My Divine Spouse caused me to feel His presence in such a vivid manner; He filled me with such hunger and thirst for possessing and loving Him that sometimes it seemed impossible to keep on living. Ah! in such moments it seems that the soul is imprisoned and that our bodies impede it from flying towards its only good. Desires to die filled me at those moments. In order to be united to Him, to love Him Who alone can satisfy us, one would pass through all the sufferings of hell. These graces of intimate union with our Lord, this hunger for Him was so strong that my heart could literally feel it. "...The soul favored in this way by our Lord must prepare itself for many bodily sufferings. A soul on fire with desire to love and possess God needs corporal sufferings in order to soothe it. 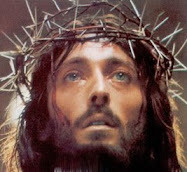 Suffering, humiliation, abandonment are never enough for one who wishes to suffer for our Lord Jesus Christ. Therefore I endured terrible temptations, torments of conscience, memories of my family, spiritual and bodily sufferings--but always I suffered from not being able to suffer more." 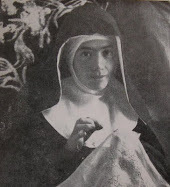 In 1894 she was sent to a mission in Portugal where she was appointed the Superior of the convent in Porto. The convent had been struggling with a lack of devotion and discipline along with very poor finances, but this was soon to change under the guidance of Maria. In the city of Porto people began hearing of this "holy" Nun from Germany. Many visitors began arriving at the door to visit with her and ask her prayers. In time Maria’s Portuguese had improved and she was now able to understand and speak with the people. Her apostolic zeal and love for Jesus inspired those who knew her and resulted in a sharp increase of children entrusted to the care of the sisters, which soon totaled over 130. Yet, she often suffered from sleepless nights and very strong headaches because of the heavy burden. The headaches actually were signs of developing myelitis which became more aggressive as the time passed (Myelitis involves the infection or inflammation of the spinal cord which often causes severe headaches/migraines). After consulting extensively with her spiritual director, Abbot Ildefons Schober OSB, she finally made known this special message to Pope Leo XIII in a letter in June of 1898, and again in January 1899. We shall soon see the miraculous outcome. But for now Maria Drost was becoming sicker by the day. From 21st July 1896 she was unable to get up by herself anymore. She was carried on a chair into the community room. It caused her agonizing pain but with her usual joy and cheerfulness she would hide her it. Different doctors treated her with procedures that were in reality torture: electrical shock and also glowing hot iron placed upon her back. It came to a point where Maria existed between life and death. 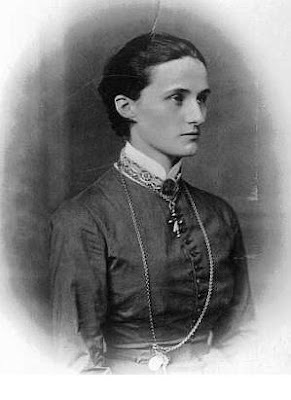 In spite of her illness she did not stop to write or dictate letters and to look after the affairs of the religious Community. 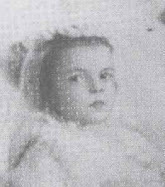 To her delight her parents and her cousin Wilhelm visited her in September 1896. Her mother remembered later that Maria was so full of fun that they laughed with her until the tears ran down their faces– but it didn’t take long until they became aware of the true state she was in. "You ask me particular details concerning my conversations with Jesus. Oh! If I could tell you everything and all at once, how we would praise God together for His goodness and His condescension! My sufferings will increase and will last as long as His love has established for this, but the dawn of the eternal day is already beginning to appear. The singing of the Veni, Sponsa Christi, which I have already heard for some time, becomes ever more sweet and near. You cannot guess how happy I am! In Porto the word was spreading that the seriously ill superior of the Good Shepherd was a saint and people prayed in churches for her recovery. More and more people knocked at the door of the convent and wanted to speak with Maria: noble and ordinary people, priests and lay people. Maria saved marriages, organized Baptisms and First Communions, looked for workplaces, found boarding schools for children, provided a young married couple with a dowry and she brought many, many priests back to the first love of their vocation. Her cousin Wilhelm said that he became a Benedictine monk because of her influence. 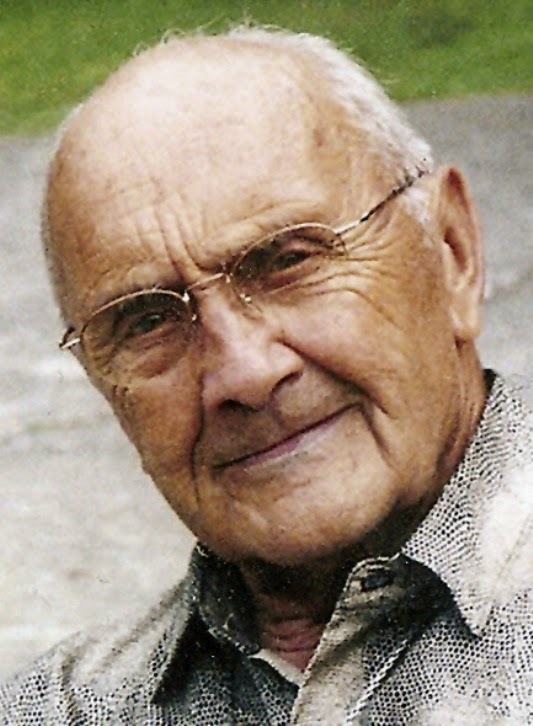 And it was at this time Maria experienced the most intense mystic visions which gave her strength – yet no one knew of these except her spiritual director, the Abbot Fr Ildefons Schober OSB. Maria’s health continued to worsen – the diagnosis was now tuberculosis of the spine. She again received the sacrament of the sick and gave orders in the case of her death. A sister from Münster came to assist her. Holiness’ days so that the consecration of the whole world to his Heart could be realised. this ardent desire of his Heart, without however being able to affirm it. Already for some time the Pope had been inspired to open the jubilee year of 1900 with a special dedication of the world to Jesus. 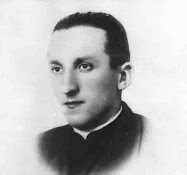 In early 1899 he permitted the public use of the Litany to the Sacred Heart of Jesus, yet he was inspired to do more, and it was the two letters of Maria that encouraged him and spurred him on to dedicate the entire world to the Sacred Heart of Jesus. Towards the end of February, 1899, Leo XIII, who was nearing his ninetieth birthday, fell gravely ill. The physicians found a tumor and on March 1st they decided they should operate. 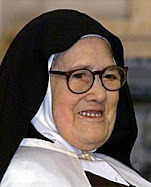 The Pontiff attributed his recovery to prayer, especially those of Sr. Maria. He recalled that important letter recently sent him by the Sister in Oporto, telling him that our Lord would prolong his life in order to give him the privilege of solemnly consecrating the human race to His Sacred Heart. During his convalescence the Pope again took up the matter of Sister Maria's letter and passed it for examination to Cardinal Mazzella, S.J., theologian and Prefect of the Sacred Congregation of Rites. The Cardinal returned the letter to the Pontiff on March 25, saying, "It is a touching letter and certainly seems as if it could have been dictated by our Lord. Nevertheless the consecration of the world to the Sacred Heart could not be based on a message said to have been received from Heaven by a private person. Such a proclaimation must have a theological base." After a few days study and consultation, Cardinal Mazzella placed before the Pope the doctrine of Saint Thomas Aquinas, which theologically affirms a devotion to the Sacred Heart of Jesus. At this time Maria was totally paralyzed and her inner organs failed. Shortly after the feast of Corpus Christi she learned from the newspapers of the Papal Encyclical “Annum Sacrum” [which means 'Holy Year'] which was solemnly published on May 25th. In this Encyclical the Pope stated that he would consecrate the entire world to the Sacred Heart of Jesus on the feast of the Sacred Heart of Jesus that year, which would fall on Sunday, June 11th, 1899, after a three day Triduum of prayers to the Sacred Heart of Jesus. He also mentioned in the Encyclical that he had been healed of a dangerous life-threatening disease, and privately he attributed this cure to the intercession of Sister Maria, and more evidence of this can be read in Maria Droste's letter to him above. And concerning the consecration of the universe to the Sacred Heart of Jesus, afterwards Pope Leo stated "This is the greatest act of my pontificate!" The announcement that the world would be consecrated to the Sacred Heart was made personally by the Pope to Monsignor Doutreloux, Bishop of Liege, Belgium. Pope Leo XIII, in the course of a private audience given that prelate in April, 1899, said to him, "We are about to perform the greatest act of our Pontificate." The Pope also told him. 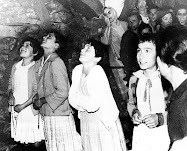 "There are in the world some holy souls who receive communications from Heaven and sometimes the Pope is so convinced of these that he cannot doubt that they come from God. What would you say, for example, if someone made known to you a desire that you had wanted to hide in the very depths of your heart without letting anyone know about it? Would you not see in this a proof of divine intervention? Well, this is what happened when the consecration of the universe to the Sacred Heart of Jesus was spoken of." One can see through these words that the Pontiff had his own private inspiration concerning the consecration, and Sister Maria Droste was only the instrument or "prompter" who led Leo XIII to take action. 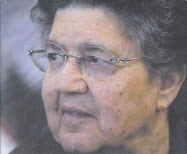 The Pope had told Maria’s parents already at a private audience and congratulated them on “this chosen soul”. Maria was overjoyed at the news and spoke with her assistant about the preparations for the Feast of the Sacred Heart which should be celebrated in the most solemn way in the convent, but as we shall soon see, she was to pass from this life to view the papal consecration from on high. Her mission completed, on Thursday afternoon, the 8th of June 1899, at around 3pm, Jesus took Maria from this life, so as to be able to view the Solemn consecration with Him in heaven. At the same time of her passing from this life, in the chapel the sisters had begun the first Vespers of the Tridium of the celebrations for the consecration of the world to the Sacred Heart, as requested by the Pope in his encyclical a few weeks prior. At her funeral Maria was carried in a special procession: Six members of various noble families volunteered for this special service, and never was it seen before that these lords together carried a coffin through the city. It was a sign of the great veneration and esteem that the local people had for her. 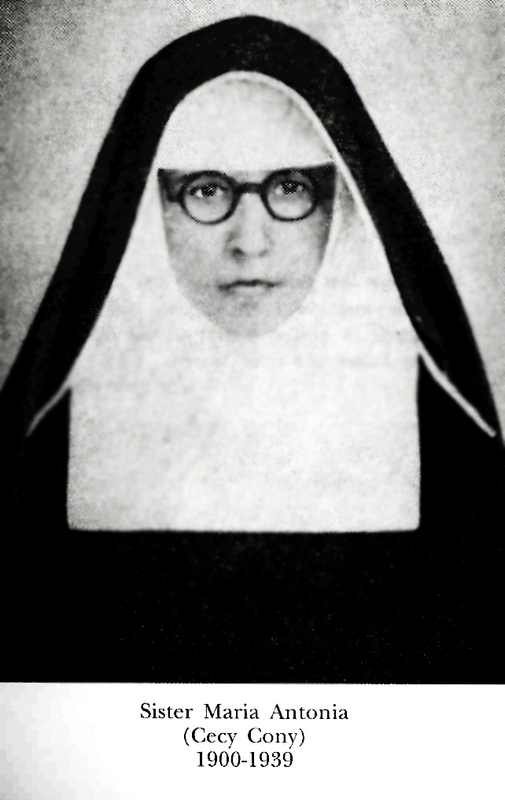 Sister Maria had told her confessor: "My mission on earth will be completed as soon as the consecration is done." For the final three years, she had suffered greatly from a spinal disease which had led to a gradual paralysis. 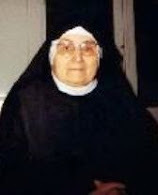 On Thursday, June 8, the day of her passing--which was also the day the Solemn Triduum was to begin, Sister Maria personally received two copies of the Encyclical sent by the Holy Father. Early that afternoon, quite suddenly Maria lost her speech. 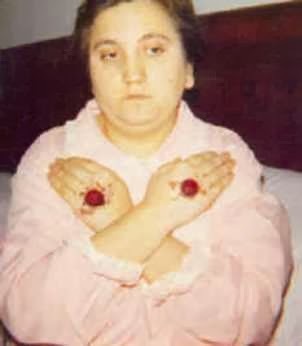 "I would like to receive Communion" were her last words. With her profession crucifix in her hands, her gaze on a fixed point, from her lips there escaped what was almost a moan. . . "Ah!" . . . and then her face became radiant. From her eyes two tears fell, and her soul left her tortured body to go to the embrace of her heavenly Spouse. 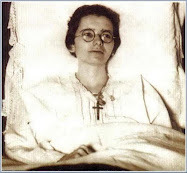 She died at around 3PM, after the recitation of First Vespers of the Feast of the Sacred Heart. Maria was 35 years old. She was beatified by Pope Paul VI on November 1, 1975. Out of her great love for Jesus and for the love of souls Maria had given everything--Her homeland, her family and her whole self. May she inspire us with her great love for the Sacred Heart of Jesus. -Blessed Maria Droste, pray for us! 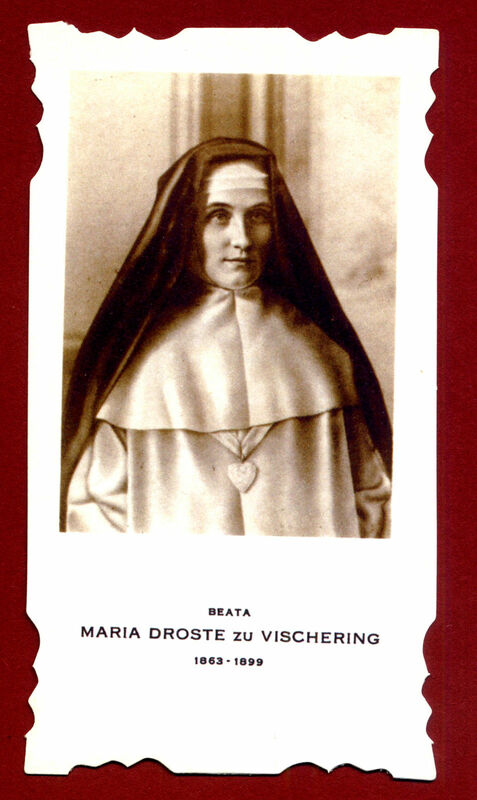 -For those interested, there is a free online book (biography) about Blessed Maria Droste which can be read on the Good Shepherd Sisters website here. Support this website! 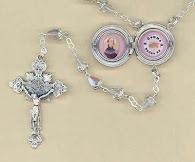 Check out the lockets and relic locket rosaries in the Mystics of the Church Gift Store. 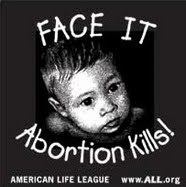 "Most sweet Jesus, Redeemer of the human race, look down upon us humbly prostrate before Thine altar. We are Thine, and Thine we wish to be; but, to be more surely united with Thee, behold each one of us freely consecrates himself today to Thy most Sacred Heart. Many indeed have never known Thee; many too, despising Thy precepts, have rejected Thee. Have mercy on them all, most merciful Jesus, and draw them to Thy sacred Heart. Be Thou King, O Lord, not only of the faithful who have never forsaken Thee, but also of the prodigal children who have abandoned Thee; grant that they may quickly return to Thy Father's house lest they die of wretchedness and hunger. Grant, O Lord, to Thy Church assurance of freedom and immunity from harm; give peace and order to all nations, and make the earth resound from pole to pole with one cry: "Praise be to the divine Heart that wrought our salvation; to it be glory and honor for ever." Amen. They called her "the little wildcat". I love it! My kind of saint! God is Glorified in His Saints. Please tell me where I can get the beautiful Sacred Heart picture and prayer of Pope Leo XIII. I think it's time to distribute the original prayer and not the "politically correct" prayer that our Church has been saying on First Fridays. Thanks b e to God we have a wonderful faith filled Pastor, but he inherited the prayers that has been used for the 23 years I have been at the parish. The word police have been working subtly for a very long time! I have always loved this consecration prayer to the Sacred Heart, and now I know so much more about it! Thank you for so carefully finding out about Bl. 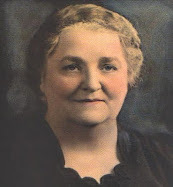 Maria Droste. Her story gives so much humanism and hope for all of us, despite our weaknesses. God bless you and your wonderful avocation. to learning from your site as although I converted in 1971, I'm afraid that I did not even know how very little, overall, I had been taught by the priest who taught the RCIA class. I was taught "what to" do in Church and no mention of why or the significance or any sort of depth at all to my new faith. Through the years, and most notably since 2012 when I moved to my parish here in Central New Mexico, I have begun to realize there is even so much more to love about the Catholic Faith. Make no mistake, I was totally committed to Jesus Christ as my Savior as a Protestant but as that name suggests, I was a "protest" of the Catholic Faith as our faith was totally anti-Catholic. Even when I was just 13 yrs. old, I could realize what I was being told to do from the pulpit to "those who are Catholic" was not "Christian" in nature. 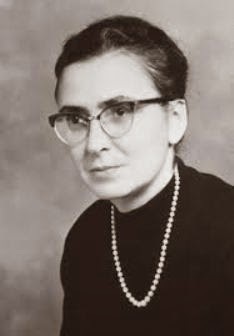 Leaving that behind and moving forward, I must say that this last mystic I read about, Blessed Maria Droste ze Vischering was quite compelling. I cringed however at the thought that her Guardian Angel assigned to her by Our Lord was allowed to "beat her with a stick" among other things while she was already suffering, by her request, the pains of Our Lord's Passion. Seems a bit harsh and radical to me. It, to me, taints the beauty of what Our Lord was allowing her to suffer...not anything different from what others have willingly also suffered. The beatings and other punishments by the Angel??? I am still uncomfortable with that. However, I am so impressed with your website that I even gave it to my Spiritual Director who also is the pastor of our parish. I am sure he will check this out and get back to me and I have all the confidence that he will find, as have I, the beauty of what you are doing and what I am learning through this site. good work you are doing on this site!